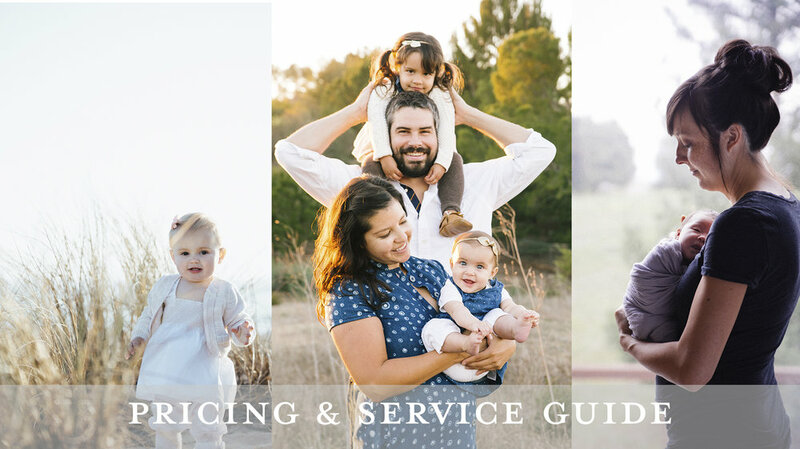 Pricing Information — Kinship Portrait Co. I'm not going to lie to you, when I started this business I had no idea I would be a full service photographer, providing photographic heirlooms to my clients. Now that I've committed to this way of doing things, there is no other way I'd consider. If you're considering my services, you're probably a busy parent, just like me. With a photographer who isn't full service, you're given digital files and a longer to-do list. More on your plate. By the time you get around to getting your prints, wall art, or albums made, it often ends up feeling like another chore, not the deeply satisfying experience it could be. The worst part of all, after your added time and effort you will probably end up with consumer grade products that are extremely low quality and don't do justice to the professional photos of your beautiful family. my goal: that every client feels completely taken care of, with gorgeous heirlooms in their hands that will bring them joy today and last for generations. All sessions include a pre-shoot consultation and a post-shoot design & ordering session, where printed products and digital files are purchased. This can be applied to any type of photography. We choose a location during our pre-shoot consultation. "Why would I want a three hour session?!" Great question! If you're interested in shooting in multiple locations, would like a documentary style in home session, or are interested in adding an extra-special video aspect like an interview, a three hour session may be for you. For Video Services, add $100 to session fee. For most video add-ons, I shoot video seamlessly while shooting photos. Interview services are also available. For some interviews, an extra fee may be applied - these are assessed on a case by case basis. Above all else, quality is the number one reason for investing in professional prints. Your gorgeous professional images cannot and will not be replicated to their full potential by consumer print labs. I've chosen the best labs I can possibly find to handle your photos perfectly. 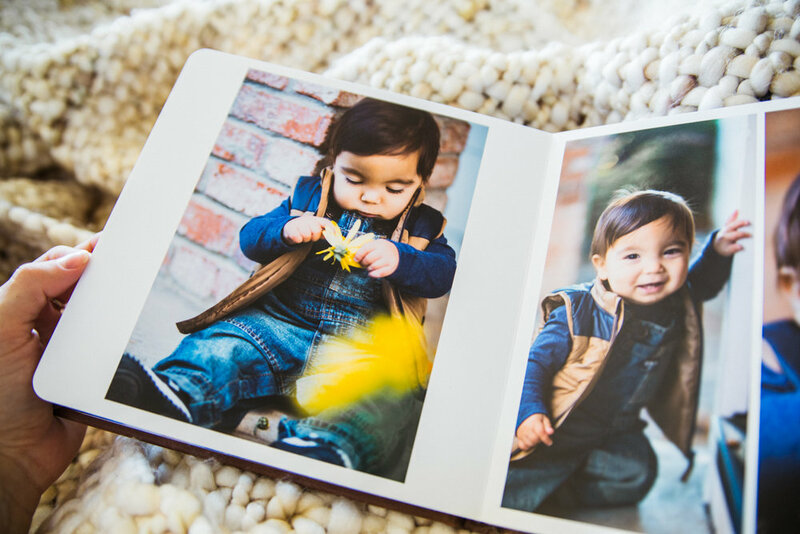 Your photos are sent to the hands of experts with the highest quality papers, printers, and inks which complete the recipe for photographic perfection. Sorry, but you just won't find that at Wal-Mart. Going hand-in-hand with quality, longevity is what takes your photos from simple prints to heirlooms. Your photographs have the potential to be heirlooms: passed down for generations, incorporated into the life story of someone you may never meet, but who may get the privilege of feeling as though they've met you. The products I've chosen to offer clients have archival ratings of 100+ years. As an expert in the field, I've hand picked products that I've fallen in love with - products that are only available to professionals. During our design & ordering session, I use my artistic eye to expertly design wall art pairings and albums, and guide you through frame and paper choices. The goal here is that you fall in love, too. And that you don't feel alone in the process. During our design & ordering session, you get to take advantage of design software which allows you to preview your photographs right on the wall. Printed on premium canvas with a standard archival quality of 100 years, with a gel coating to filter UV light and extend the life of your canvas even longer. Custom frames with a timeless look that are built to last. These frames will complement your home decor and let the art that is your family truly shine. Coming soon: custom photo ledges with frames! Ask me for details if you're interested. When you leave our design & ordering session, you will have your custom designed album approved and ordered. Turnaround time is only three days. 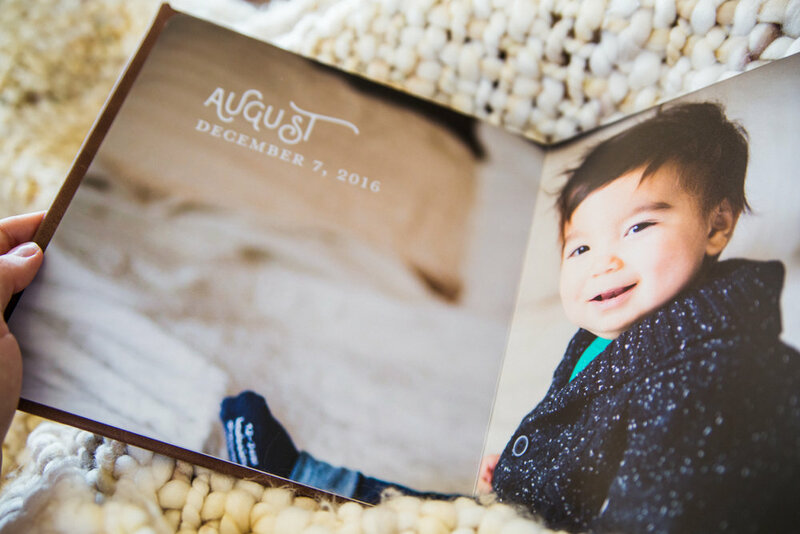 Gorgeous custom designed albums to beautifully tell your family's story for years to come. Archival quality professional photos are mounted onto sturdy mat board for perfect preservation. You choose a size, cover style, and fabric so that your family's album truly feels like it's yours. Gift prints, session boxes, or simply another way to enjoy your sweet memories. Professional photo printing is both an art and a science - I've chosen the highest quality photo lab I could find to pass on that quality and value to you. Each image is hand color corrected for a perfect representation in print. They will brighten your day and surely end up in the hands of your great great grand kids. Kinship Portrait Co. operates under a digital archive system - see details below. Digital files are a great way to share and back up your images, but definitely not the best way to experience them or even preserve them. Kinship's digital archive system goes like this: you receive a digital copy of the photographs you purchase, in the size that you purchase them. In addition to that, web resolution files for sharing are gifted with a purchase of $500 or more. Our print packages also always include a digital component, whether it's social media files, a slideshow, an app, or a combination of the three. Your total investment is highly personal and depends on many factors, but in order to get the most out of your time, the low end of your expected investment should be around $1,000. I would be more than happy to hop on the phone with you prior to booking if you have any questions at all. Don't hesitate to reach out! I can't wait to get to know your family & tell your story.